Home/Mastercam, Tech Tips/What is Chip Load? 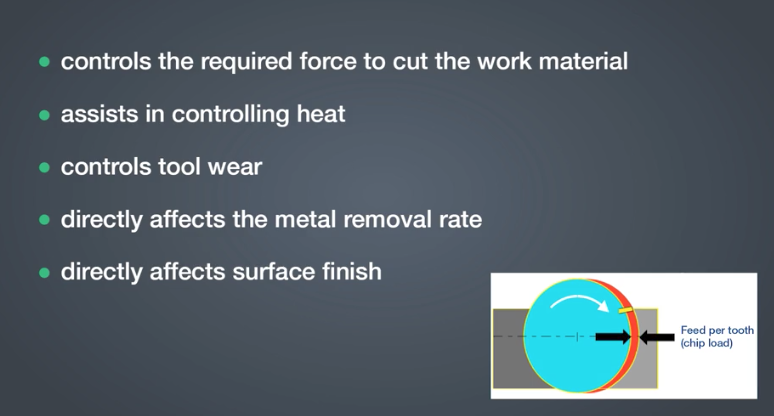 As part of our Foundations of Cutting Metal series, we are going to discuss Chip Load and Feed Per Tooth or Inch Per Tooth in relation to milling. 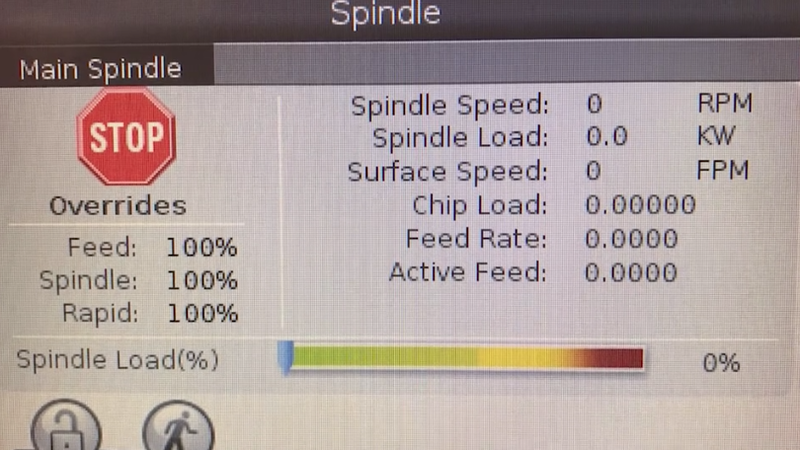 Chip Load or Feed Per Tooth is the theoretical length of material that is fed into each cutting edge as it moves through the work material.Chip Load given by tool manufacturers is the distance the material is moved into the cutter at the centerline of the tool as each cutting edge rotates through to cut. 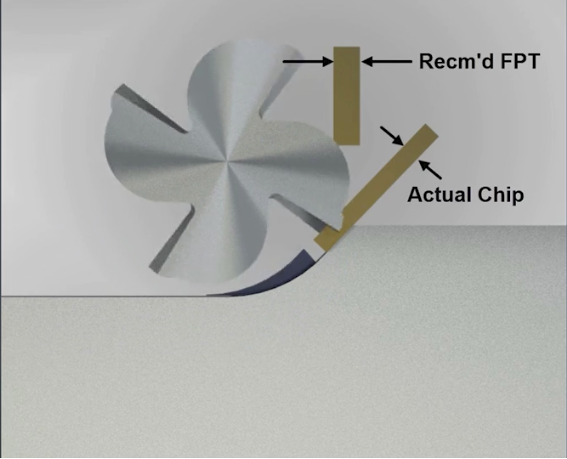 It is a theoretical distance because other cutting factors like width of cut and cutting edge geometry affect the physical thickness of the chip so measuring the thickness of a chip with a caliper or micrometer will not give you the calculated chip load. It must be calculated from the actual cutting parameters. Why Should You Care About Chip Load? As Chip Load increases or decreases it requires more or less force to shear the material being cut so it controls the amount of HP and torque that is being used. 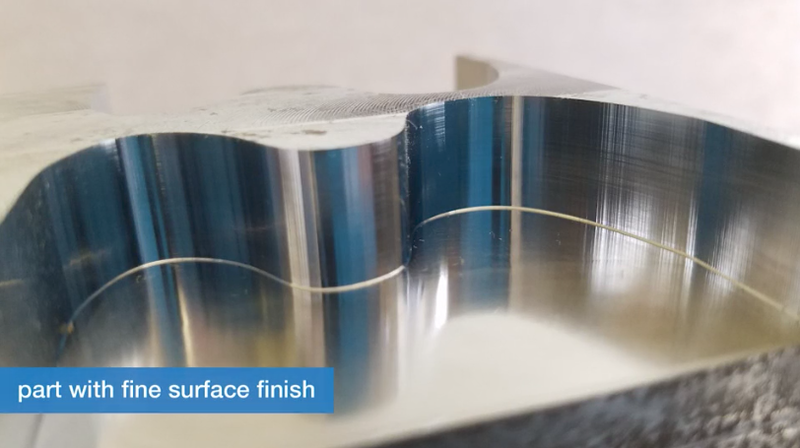 Too much Chip Load increases wear, leads to premature tool failure, rough finishes and draws more HP, torque and amperage thru the machine and increased stress on the axis drives. Too little Chip Load causes vibration and chattering that will chip the tools cutting edges and it can cause the tool to rub and wear rather than cut. 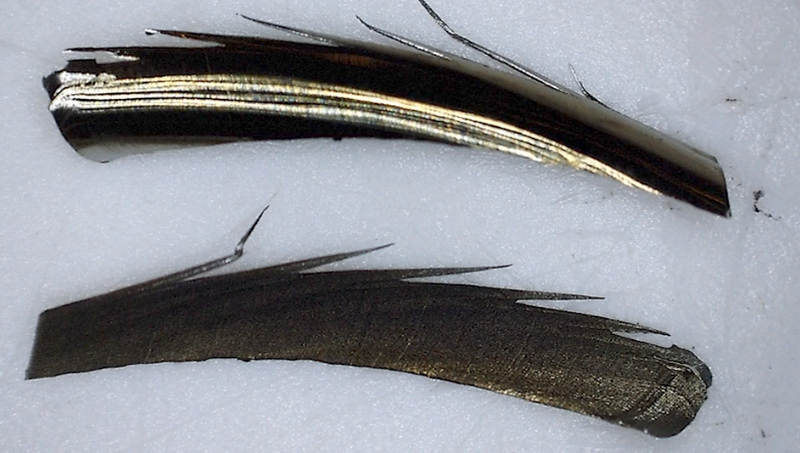 This can clearly be heard and seen by looking at the chips and the cutting edges. The right amount of Chip Load gives the chip enough mass to absorb heat and pull it away from the tool and the part. Last, it directly affects the productivity because the higher a Chip Load, the more the higher Metal Removal Rate or MRR. 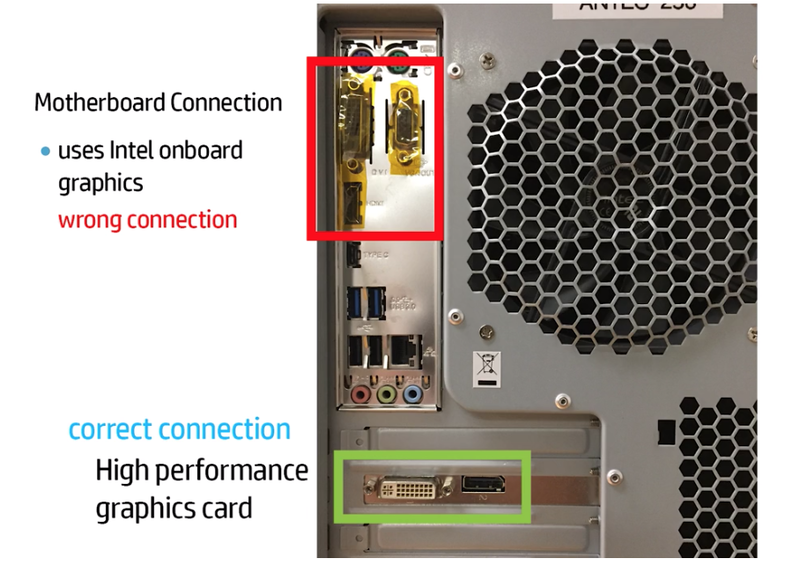 Where do you find a starting Chip Load? 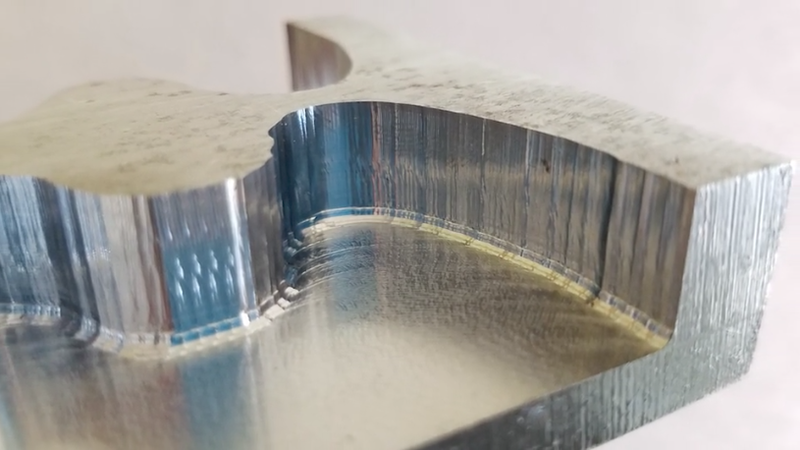 Every tool manufacturer has done many hours of testing in relation to the material that is being cut so get their data as a starting point and make small changes as needed. Remember, Chip Load has the second greatest effect on tool life. 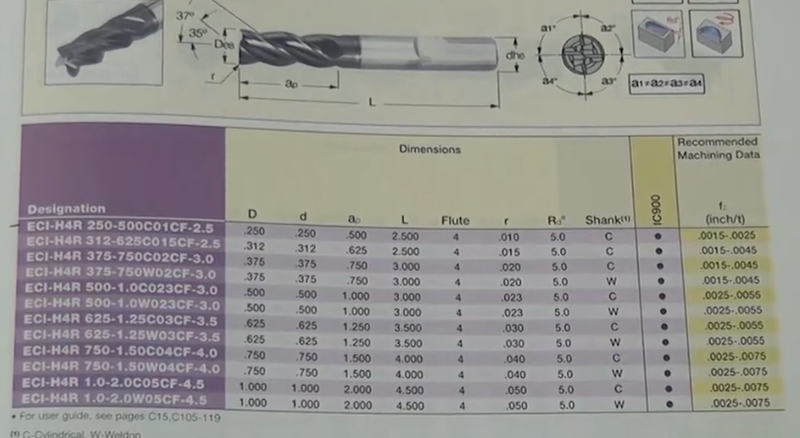 As an end mill increases in diameter so does its ability to handle more chip load and vice versa. This is because as the tool diameter becomes larger, so does the strength of the tool and its ability handle a greater chip load. Very useful article for CNC machinist. Thank you.